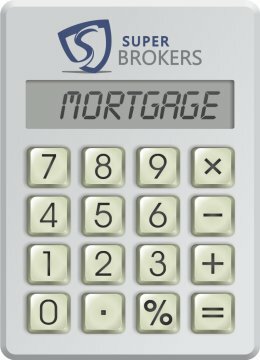 The 6-year bar graph below illustrates the volumes of mortgage applications received by Super Brokers in each month for all years combined. The busiest months for mortgages from St Albert happen to occur during our first quarter (represented by the brown bars) with 32.22% while our slowest is the fourth quarter (represented by the red bars) with 15.56%. The bar graph below illustrates the busy days for online inquiries that were received by our web site. Each day is a representation of the combined 6-year total of all instances of that day. In St Albert the busiest day, with approximately 21.67% of all inquiries, is Wednesday. In comparison, Thursday's are the slowest day with only 9.44% of all inquiries. Mortgage applications are received 24 hours a day via our web site. The information shown below represents the peak hours within a 24-hour period. The data is taken from all days of all years. Only 26.1% of all mortgages are received during the morning, while 71.7% arrive in the afternoon. 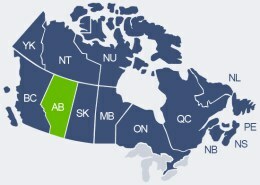 The following table lists how St Albert ranks for mortgage applications sent to our website. The data collected is over a 7-year time frame. A location has to have a minimum of three applications to make the list. To find more information, simply click on a location. The information below represents the average income of people living in St Albert who have submitted an inquiry using the Super Brokers' mortgage application. Note: Commercial Mortgage loans were not included for this survey, only residential loans amounts from St Albert, Alberta were used. Below is a listing of our most popular mortgage product inquiries made using our online mortgage application for clients in Strathmore.